More drama! More statement jewelry! 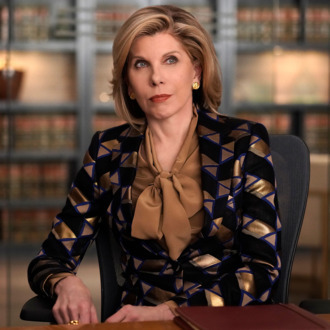 The Good Fight, a show in which the pee tape exists, Margo Martindale wants to impeach Trump, and Christine Baranski is micro-dosing (or macro-dosing, at this point really), will return for even more shenanigans. CBS announced today that it has renewed the Good Wife spinoff for a third season. Its second season is currently airing on the streaming service CBS All Access and we wish you good luck figuring out how to get that to work. Congrats to all the New York theater actors who will get a chance to appear on the show next year.